At Fairway Equity Services, we understand the anxiety that real estate transactions put people under. That’s why when you’re in need of a reliable mortgage loan originator, Ernie Barragan is here to take the stress off your real estate plans. As a federal and state licensed and registered mortgage consulting firm, we have helped countless home and business owners throughout Anaheim Hills, CA find the best mortgage solutions that meet their real estate lending needs. When Do You Need a Qualified Mortgage Loan Originator? When lenders are closing their doors or tightening loan program guidelines. When you need a “Trusted Advisor” that has your genuine interests in mind and also has the massive capabilities and resources you need now. When speed and timing are crucial. When you want someone to take the time to fully evaluate the problem and honestly explain all of the loan options, benefits, and potential pitfalls to you or your client. Are they licensed under the new federal National Mortgage Licensing System that was put in place in 2010? If so, they should display their NMLS# on their cards and ads. How many years of experience do they have as a full-time loan officer? Do they have the programs necessary as well as the desire and ability to solve complex financial problems related to title and vesting matters, bankruptcy, foreclosure, and divorce situations? Do their firms fully comply with all legal regulations and requirements, such as recent good faith requirements under Federal Financial Reform Act, RESPA, Truth in Lending etc.? 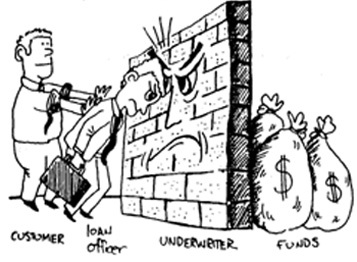 Consult a Mortgage Loan Originator Today! Looking for the right mortgage program that suits your specifications? Talk to Ernie Barragan at Fairway Equity Services for comprehensive mortgage consulting services. Make an appointment today! For more information about the services we offer, don’t hesitate to get in touch with us. LEGAL: Rates and programs subject to change. This information is provided to assist Financial, Real Estate Professionals, and others, and is not an advertisement to extend consumer credit as defined by Section 116.22 of Regulation Z. All rights reserved. Credit and collateral are subject to approval. Terms and conditions apply. This is not a commitment to lend. Programs, rates, terms, and conditions are subject to change without notice. Loans will be arranged pursuant or our BRE broker’s license #00782724. The BRE License Telephone number is (916) 227-0931.